Travel America in style while enjoying an experience you'll never forget! Step aboard the Southern Railway sleeper / lounge Crescent Harbor, built by the Pullman Car Company during railroading's Golden Age. You'll enjoy exclusive elegance, fine dining, and privacy while viewing America in a fascinating way that few people today experience. Enjoy the Crescent Harbor’s spacious lounge and large bedrooms in a truly pleasurable style as first class was meant to be. Treat yourself, your clients or host a private party to an unforgettable and unique trip aboard the beautifully-restored Crescent Harbor. Go anywhere on this Amtrak-certified car that rails will take you - travel doesn't get any better than this! 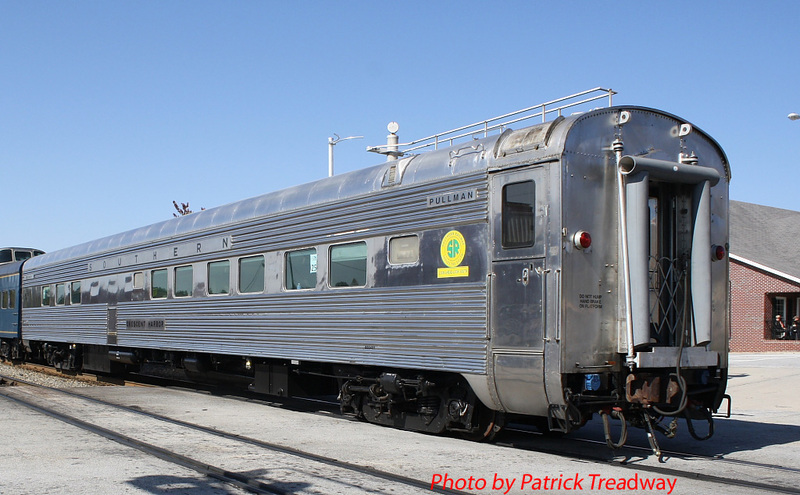 HISTORY: The Crescent Harbor is one of three remaining sleeper / lounge passenger cars built by Pullman for the Southern Railway's Southern Crescent passenger service. Delivered in 1949-50, this particular car plied the rails between New York City and New Orleans during the "golden days" of rail travel. Having been out-of-service since 1979, Crescent Harbor was recently returned to rail service through a major restoration project by WVRHS&M, from whom it received AAR reporting mark WATX 2351. Crescent Harbor's two sister cars, while they exist, require extensive work before they could become roadworthy.